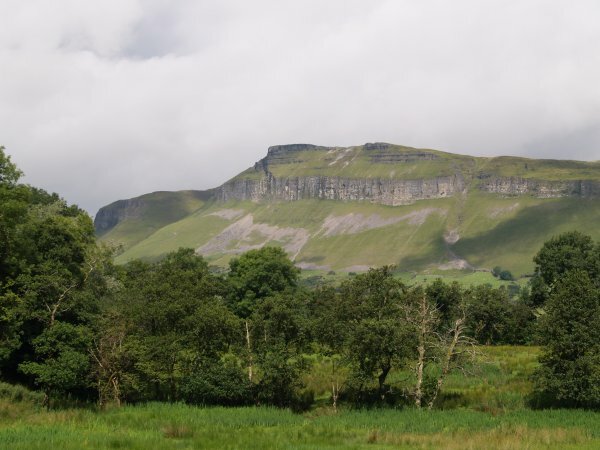 Some of the beautiful mountain scenery in County Sligo en-route from Enniskillen to Achill Island. 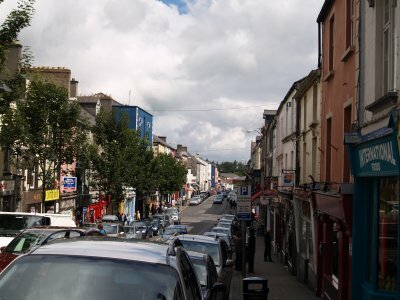 The main street in Ballina. 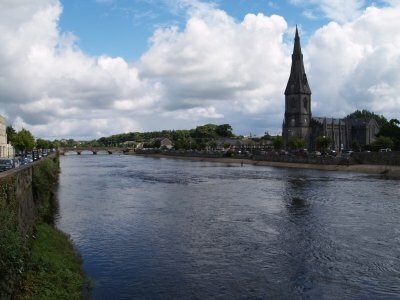 By the River Moy in Ballina - very popular for fishing. 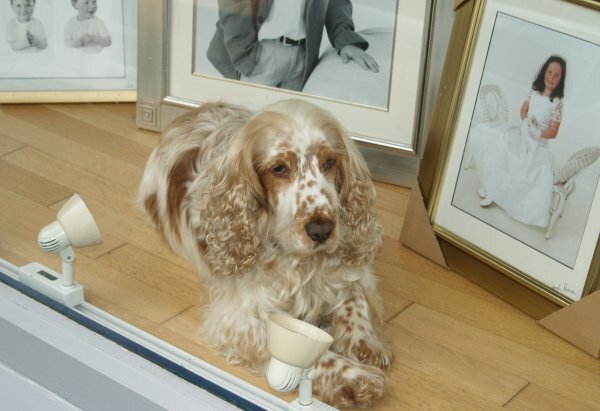 A quiet dog and peaceful scene in a photographers window! 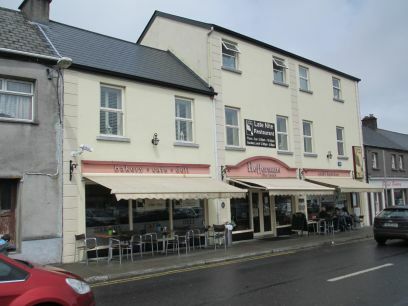 Heffernans bakery, in Market Square, cafe and deli in Ballina is good place to stop off for a bite to eat, then a Joseph's Ice Cream and stock up at Tesco! 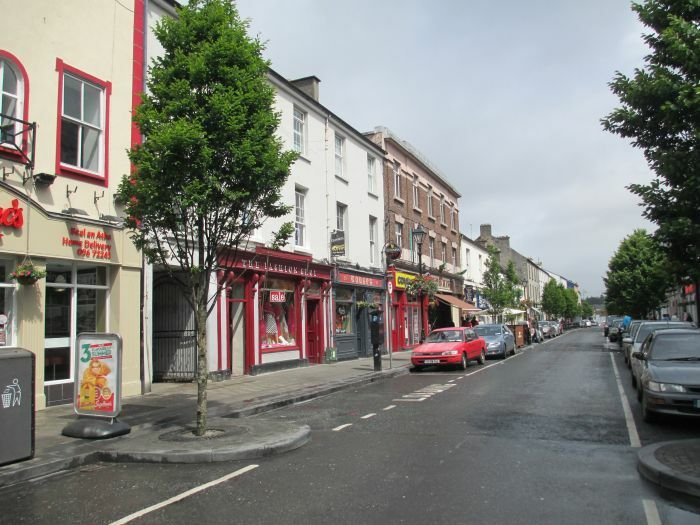 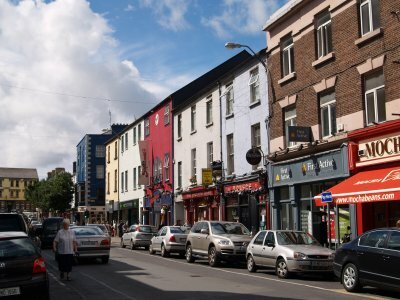 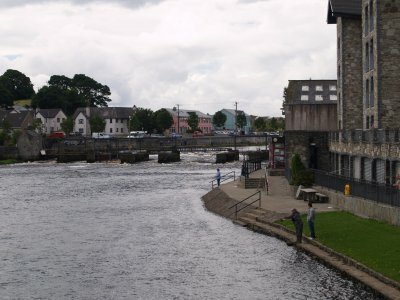 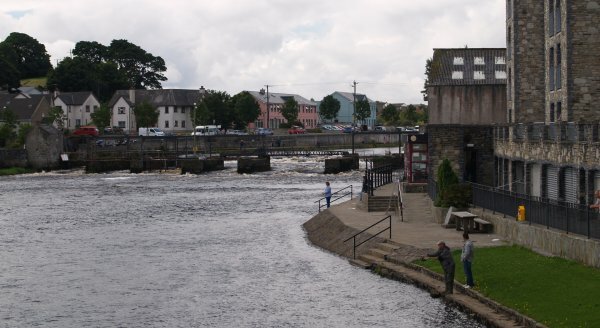 Ballina Town, Co. Mayo, West of Ireland: Ballina is a bust bustling town in County Mayo in the Irish Republic. 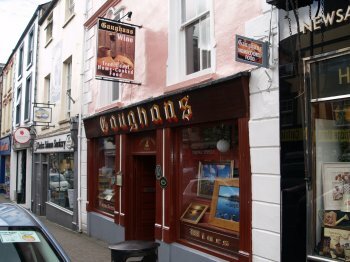 Gaughans in the main O'Rahilly Street is good place to stop off a for a snack. 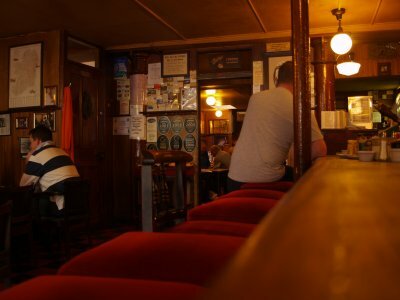 It was once a lounge bar but now only serves wine with the good budget priced food in the original trappings of the old fashioned pub. 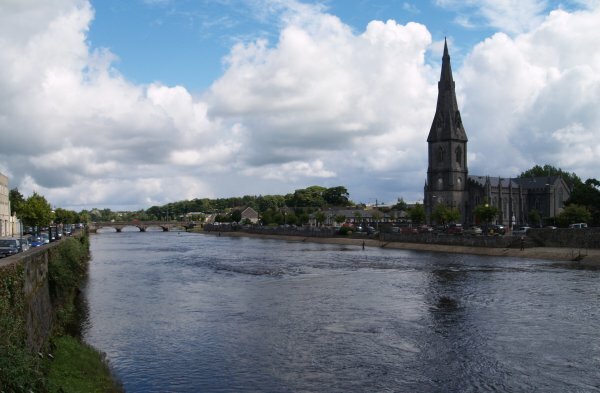 Good sandwiches, a pot of tea and an apple tart and a warm friendly welcome after a stroll by the River Moy which seems a favourite with fishermen between the two splendid bridges and by the weir. 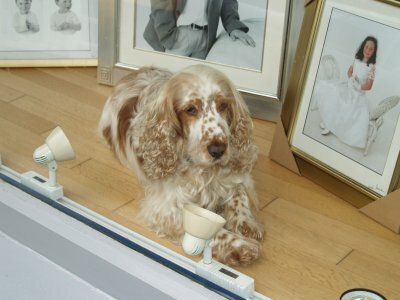 However, a rather doleful dog in the window of a photographic business! 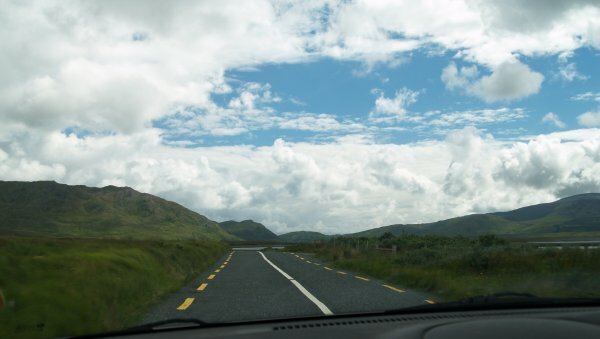 Not much traffic in County Mayo! 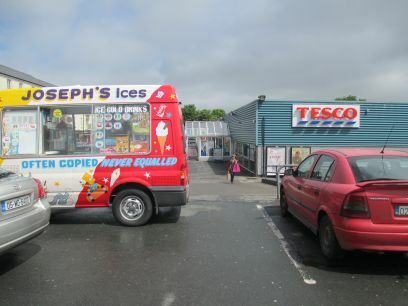 except for a lorry of peat! 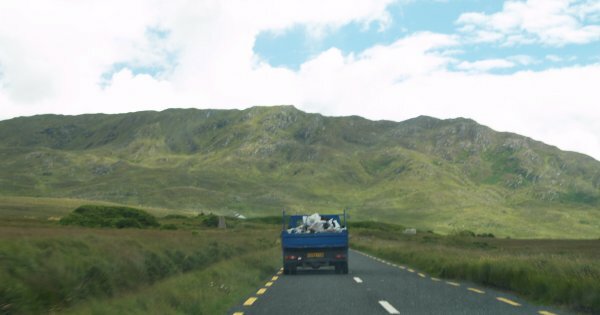 The new bridge was under construction (August 2008) across Achill Sound linking Achill Island with the mainland.